REECE MASTIN returns to MEMO MUSIC HALL for a HUGE all ages show! 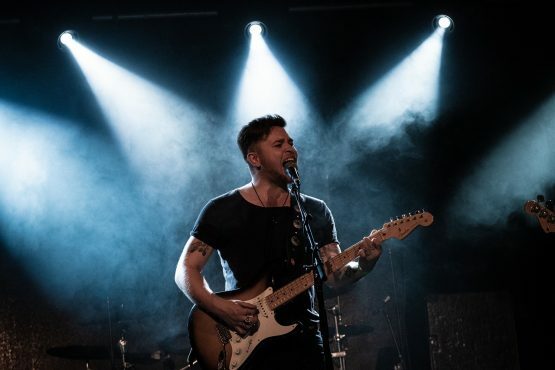 After Releasing his EP ‘Suitcase Of Stories’ in April this year reaching number one on the iTunes Rock charts, and taking his tour around the country, as well as returning from his first sold out show in UK England, Mastin’s ready to hit the stage in his now home town of Melbourne. Leaving Audiences in awe over the past year at shows with a show they probably didn’t expect. Mastin’s show is a True Rock n Roll freight train, Guitars loud and heavy, Vocals to hit you through your chest and leave a memory of an amazing night of music in your heart. Before you judge this singer from what you may think you already know of him, listen to the record and you may be pleasantly surprised. This December, MEMO hall will be shaking at the rafters with a night of good old fashioned Rock n Roll. Don’t miss your chance to book tickets! This is the only gig for Reece Mastin, better be quick!